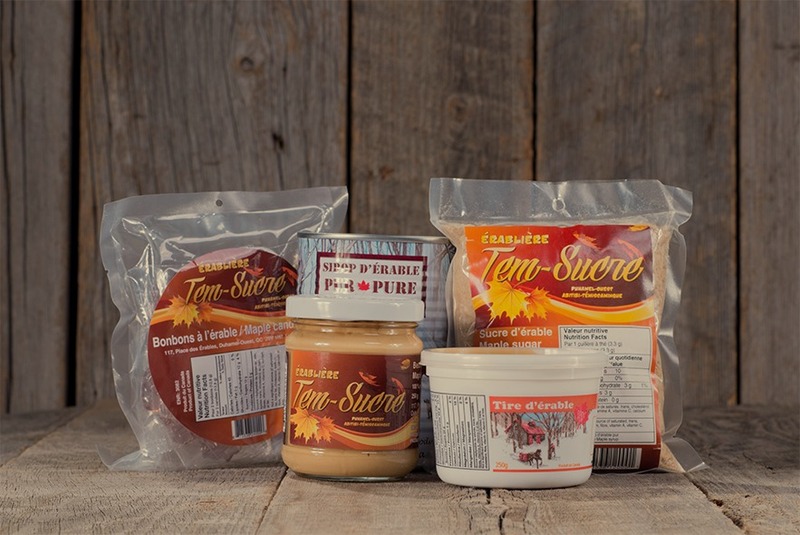 Tem-Sucre creates products that are an experience of and journey into Quebec’s DNA. Note: Tem-Sucre does not offer meals in its facilities. Tem-Sucre creates products that are an experience of and journey into Quebec’s DNA. It joins you daily in your craziest culinary explorations, it offers innovative regional products of quality, while remaining true to old-time traditions and the know‑how acquired by maple experts of past generations. Tem-Sucre is a true reflection of tradition, innovation, expertise and exceptional products. In offering products of unparallelled quality, Tem‑Sucre shows you the 1,001 faces of maple.